My Interests: I enjoy digital painting/designing, pottery, watercolors, quilting, animals, and reading. Gail, I am enjoying your wonderful card shop. Thank you for your past comments on my work and shop. Have a good day. Thank you so much Gail. A big honor for me. Your designs are stunning, Love your style. Thank you Gail for the kind words. I really appreciate it. Your cards are so vibrant and full of life. I'm enjoying looking through them. We always enjoy stopping by your store to see what's new. Congratulations on your Sweetest Day card. It is a true beauty! Hi Gail! I always enjoy your great collection of colorful, cheerful and fun designs, as your style and work is easily recognized. I want to thank you for all your kind and welcomed reviews over the years, your words of encouragement and above all, your friendship. Wishing you the best always! Hello Gail. Love your Illustrated cards! Thanks for your lovely comments on my cards. Hi Gail, Congratulations on a great Design of the Day design! Such a wonderful way with words you have! I envy that! And thank you so much for stopping by with your kind words! Just saw your retirement card for a judge and loved it! It is perfect in image and verse. Way to go and wishing you many happy sales. Thanks for your continuing support. Keep up your good work and keep smiling! What a nice selection of cards in your store. Hi Gail, thank you for the card review on my Doctors' Day card. I really appreciate it. You have some wonderful cards here, congratulations on a great job! Wishing you all the best. Love your cards Gail - a really fun selection! Thanks for all your continuous support of my cards! Your storefront is great! I love all the featured cards. Makes me think I've got to do some work on mine! Really nice selection. Thank you, Gail for your sweet comments on my cards. Love your banner with all the heart flowers, hope it will bring in many Valentine sales! Thank you, Gail for your comment on my raven card. Your storefront is really charming! Your card designs are so much fun! Thanks Gail - your comments on my kangaroo cards much appreciated. Your storefront looks terrific ! Gail - thanks for your congratulations on my DOD today and for comments you have left about other cards of mine. Sorry it took so long for me to respond - I just recently noticed "card reviews" after 8 years!! I took the opportunity to check out your store - lots of nice designs and great variety! Happy Autumn Gail! Your shop is looking very nice, love those unicorn cards, very cute! Thank you for leaving a wonderful testimonial on my shop, I appreciate the visit! Wishing you many sales over the holiday season. Thank you for the congrats on my DOD! I'm new to GCU and it's great to have encouragement. Love your work and the variety of your work! Thanks so much for your special note about my cards. I love the rich variety of designs in your cards that your shop presents! Olivia Gregory - Smyles Design Co.
Gail, thanks for your note about my Design of the Day. I enjoyed browsing your store just now and liked your Mother's Day waitress card so much, I just gave it a 5-star review! HI Gail - just wanted to say what lovely cards you have in your shop. Just wanted to say thank you for your congrats on my Design of the Day for Little Girl with Stuffed Bunny. You are always so kind! Hello Gail, You have a very impressive shop with so many lovely designs. Hi Gail, thank you for your nice comment on my Snowy Caroling card! What an impressive amount of cards you have here, and so much variety, I will certainly be back to look around some more! Congrats Gail, on your design of the day. A really lovely card, with a beautiful warm message on the inside. Well done! Hi Gail thank you for your kind words on my poppy meadow card! you have a lovely collection of cards too! I have only just opened my shop in the last week, so very new to this! Although I've been painting for many years! Good luck, looking forward to seeing more of your work! You have such a great variety of cards here, each time I come back I spot something new that I like. Love your little animal rescue shelter, and those 3 frogs. Good luck with sales, hope you have many many many more. Congratulations on Design of the Day! Love the police woman card. Great photo and verse. Gail~ Your cards are beautiful! I love the variety and creativity. I find your Thanksgiving cards to be exceptional with all the fun details. I can't ever begin to choose a favorite; they are all winners. Once again,, Many thanks Gail, Good Luck for the coming Holidays.. Beautiful Work! Thanks for commenting on our cards. Your pink and white lily cards for Mother's Day are amazing. The photograph is beautiful! Many happy card sales to you! You have such colorful, cheerful and upbeat cards. I especially like your watercolors and colored pencil and markers drawings! Thanks, Gail, for the note. It's been fun to share my illustrations! 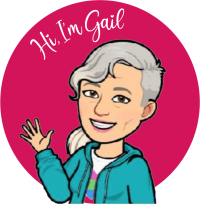 Hi Gail, You have adorable cards! Thank you for your lovely review on my DOD! All the best. I just love your, "I'll go last" turkey card...too funny! I think your store just gets better & better. I love the From Our House To Yours Halloween card! Thank you for your lovely comment on my spooky "card of the day" I appreciate your kindness! Thank you for your congratulations on my cards - Thanksgiving and Wedding Thank you with white orchids. Thanks for your kind comment. Love your Kwanzaa cards! What a nice shop you have, Gail! I had the pleasure of going to Colorado Springs last summer and it truly is beautiful. So are your cards! God Bless! Just wanted to say hello and thank you for your wonderful comment on my DOD card today. You have fabulous cards in your store! Love your Easter cards, Gail :) Especially the bunnies in bed, lol. tooooo cute and sweet! thanks so much for your kind comment on my DOD easter card too--happy easter! Your store is so bright and fresh looking! And your cards? AWESOME!! I love them. You have a true gift Gail, I adore your cards and your special words. It is obvious you put so much into what you create. I love your fresh designs! Lovely selection of St. Pat's day cards. Can't decide which 1 I like best! Congratulations Gail on your DOD! Butterflies are always great for Mother's Day. Thank you,Gail, for your nice comments on my DOD award! May you have a wonderful prosperous NEW YEAR! Love your little pandas! Gail, your shop and cards are so warm and sweet! Love the penguin mother's day! and thanks so much for your nice comment on my DOD :) Happy Holidays! You have some fantastic designs here. You obviously put a lot of effort into your cards. A fellow Zazzler too, I see. Gail! you have a lot of excellent design cards in your store. may god bless you! Thank you so much for the kind review... it made my morning! Being new to GCU, it is encouraging to hear positive words from one who has been here for awhile. Love your designs! I'm sorry I missed your design of the day day! You have a wonderful happy shop and deserve it :) Congratulations! Gail, Congratulations on receiving Design Of The Day! You have a wonderful variety of cards. I have just been looking through your cards - I love the variety. Love the illustration on the National Donut Day (how funny, I didn't even know there was such a thing hahaha) but I laughed when I saw your Vasectomy Card - brilliant. Congratulations on so many fantastic designs!! Thanks, Gail, for your comment on my Nutty Bits cereal box card...appreciate it! I love your patriotic cards and I commented on one of your New Years Eve cards! Thank you so much for your very thoughtful comments on my card! You have wonderful cards as well! Thanks Gail, for the very nice review! Your "First fish" and "Cataract Surgery" are two of my favorites--Love the style! Thank you for the wonderful review, Gail! You have such beautiful, happy, colorful cards. Your store colors make me feel happy, too. This is a wonderful place to be. The fishing frogs card is just adorable. It makes me think about my own dad. I just love the flower cards, and the Easter cards are cute as well. Good luck on your sales and I hope to see you more in the forum. Hi Gail, Thank you for the card review on my Newly Adoptive Father card. I really appreciate it. You have a wonderful store with great variety and I wish you all the best in the new year. I'm sure you will do well here. Hi Gail, you have some wonderful cards here, congratulations on a great job! You really have something for everyone here! But I especially love your Mother's Day/Secret Pal card #578391! What an adorable image! Fantastic. lovely collection of cards! I love the variety you offer.